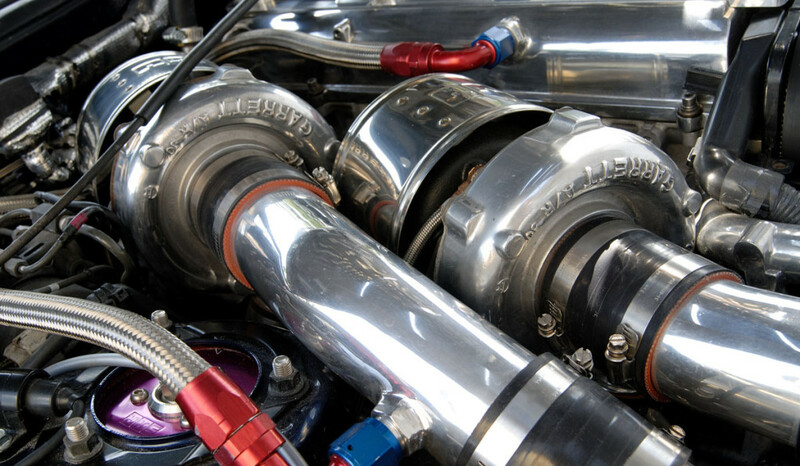 Replacing a failed turbo is not just about ‘how’- how do I remove and refit a replacement turbo or even ‘what’- what is wrong with the turbo, it is also and arguably the most important, about asking ‘why’- why did the turbo fail. Failure to ask this question can lead to a very expensive learning curve, – disgruntled customers, unproductive workshop space and inevitably the question of who pays if the replacement turbo fails prematurely. The reason that asking ‘why’ is so important, especially where turbochargers are concerned is the fact they rely on the engine being in good working order for its longevity, it is not just a bolt on stand alone component such as an alternator or starter motor, it depends on the engine for lubrication, the integrity of the exhaust gasses to drive the impellor and the cleanliness of the intake air feeding the compressor. It is doubtful that a head gasket or cracked cylinder head would be replaced without consideration of reason ‘why- Is the cooling system faulty? Are the surfaces warped? Has a cylinder liner dropped? Peugeot 206/307/407 & Citroen Picasso with engine model DV6TED4 1.6HDI which has a habit of blocking or restricting not only the turbo oil feed pipe, oil drain pipe and fittings with carbon but also the oil pump pick up strainer, which leads to premature failure due to oil starvation. Simply by noting the carbon build up in the oil feed pipe, fittings and the turbo inlet port would indicate that further investigation was needed before a replacement unit is fitted.